Grab your girlfriends and join us for Ladies Night Out in downtown Brampton. 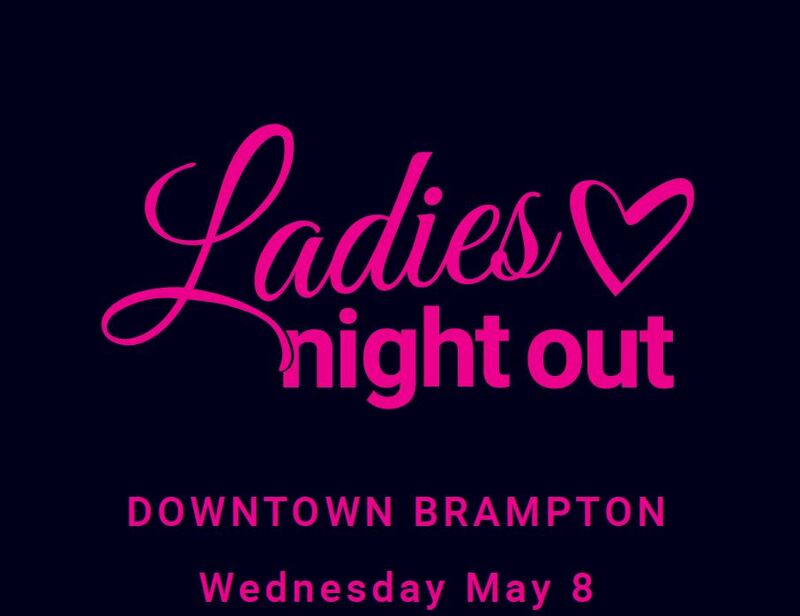 Ladies Night Out in downtown Brampton is the perfect way to unwind and relax for an evening that is all about you! You deserve to enjoy a fabulous evening of fashion, beauty and lots of pampering. Enjoy swag from our downtown retailers, sweet and savory foodie stops, fashion shows and more! Visit (7) or more of our shops and you can enter to win $300.00 in downtown gift cards (of your choice). Starting point: Beaux Arts Brampton (70-74 Main Street North). After party location: to be announced. More participants to be announced soon. $25.00 in downtown dollars that can be spent at any participating businesses - valid on May 8 only. Tickets are limited so grab them now! Lets sip, shop and unwind! Please note, tickets are non-refundable and non-transferable.